Formoid is a free desktop app that helps you easily create php forms, email form, html email form, jquery mobile form and more in a few seconds without writing a single line of code. Create fresh online forms in just a few clicks. Q: Hi I got the link to your site and form from the talk graphics site whilst using Xara web designer. 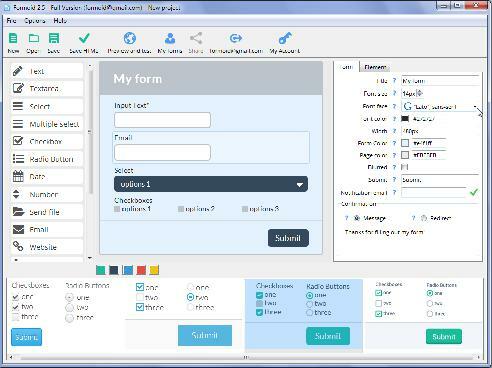 Great form designer and just what most people want a simple quick form producer for a web site. 2. Addition of recipient drop down choice so that the same form could be addressed to individuals within an organization. Hope this is of help in your developing what I am sure will be a great little programs.